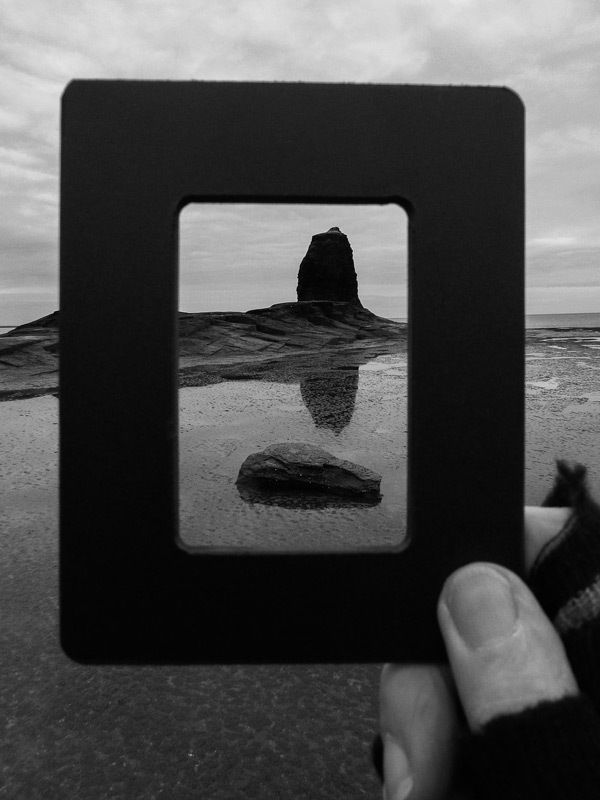 Participants to my workshops ask me every so often, how do I always manage to make pictures with spot on compositions every time, all the time? The answer is simple, spend more time looking for the picture and less time taking it. Most of all, use a Composition Finder Card to assist you on finding it. I am so used to these cards now that I would never leave home without them. They are the ones that really assist me on finding the right composition. They are the ones that come out of my camera bag first. The gear for taking the actual picture always comes out of the bag last and only if and when I find the picture. I used to make my own cards from a variety of materials, these ranged from frame mounting paper to cardboard or even plywood. The problem was that one way or another I would have to make a new one frequently, as they would get wet or break. I had to find a better solution to the problem. After extensive research, I ended up with a material that was very robust, flexible, waterproof and very light. This had to be Polypropylene. 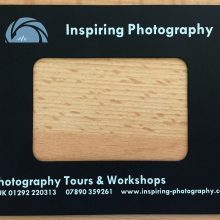 Laser machine cut with smooth and rounded edges and, of course, the appropriate 3×2 ratio that can be found in most common digital SLR camera sensors today. The outer sizes are 125x100mm, perfect for standing up inside your camera bag without occupying any space but also being safe during transport. 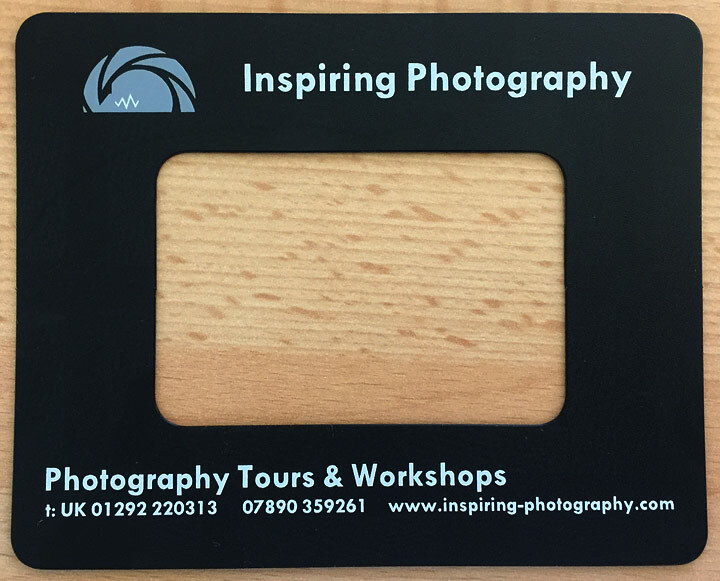 The Inspiring Photography logo is printed on the card. 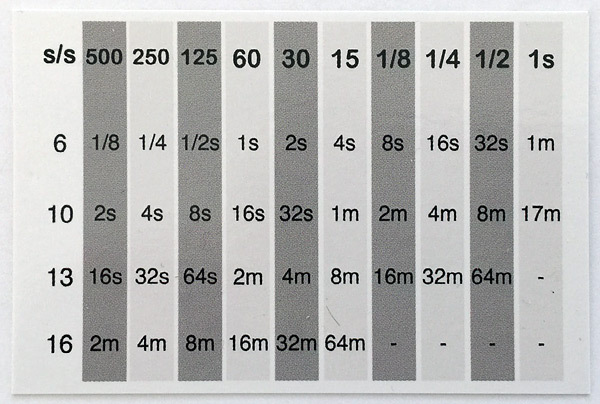 When you purchase one of our Composition Finder Cards, you will also receive a free Long Exposure Chart in the size of a credit card. Perfect to easily find the shutter speed you need for long exposure photography. Upon payment completion you will receive an email with instructions on how to send us your postage details. Please make sure our email does not end in your spam folder.